Siri is a virtual assistant provided by Apple for watchOS, tvOS, HomePod, macOS or Apple’s inclusive iOS. 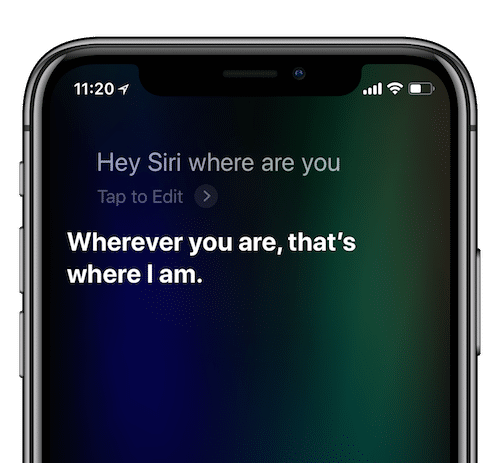 The iOS users can use this assistant for voice queries to answer questions, giving recommendations and performing requests based on a set of web Internet services. Immediate and Accurate response throughout. Access to all first-party and third-party applications. An announcement that was a sigh of relief and brought a smile on every face present at the introduction of iOS 12, was a session on ‘What’s New in Siri with iOS 12’. Hey Siri, What can I do with you? 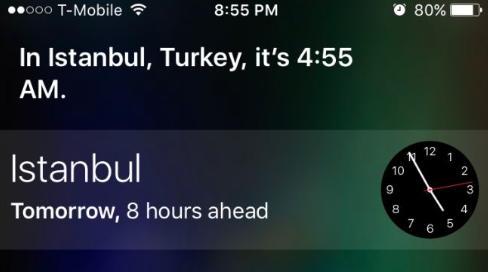 Siri is an iOS application project originally developed by SRI International Artificial Intelligence Center. The software adapts to user’s individual language usage, search history and their preferences with a prolonged use. Ask Siri to say you a joke! Ask Siri to play a game with you! Unable to type a message or call? Ask Siri to place phone calls or send messages! Huff, too lazy to manage your calendar and reminders? Say hola to your assistant and she will manage everything! Say her to remind me and she will add the task to you reminder app. In a hurry? Want to set a quick alarm? 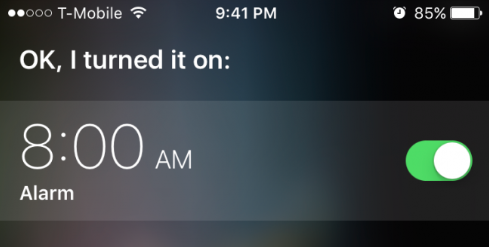 “Hey Siri, set an alarm for 8 am !” Oh my god, she did it perfectly!! Need to know the timing to call your friend living on another side of the globe? Ask Siri for help, and she will justify you! A bathroom singer and forgot the lyrics of your favorite song? Ask Siri to play the song of your favorite artist without touching the phone with your wet hands! What’s 64 multiplied by 497 divided by 17? 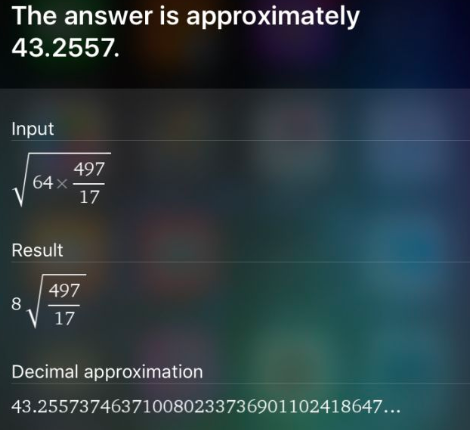 No need to fetch your calculator, Siri will do it! Did you miss the update of your favorite cricket game? Ask Siri and she will provide with the recent news of your fav game. Need to search for something from the web? Siri can use many web services to pull out data for you. So basically results are more useful than a list of websites to visit. And many more to do with Siri, the more you play the more she adapts with you! Curious to know whose voice does Siri speak? There is a real human whose voice is used for Siri, and her name is Susan Bennett. However, Apple has not confirmed the information yet! Siri’s voice recognition engine was provided by a company named “Nuance Communication”. This information was kept hidden and undisclosed until the CEO of N Nuance Communication disclosed it in Information Technology Conference. It uses many advanced machine learning technologies which include convolutional neural networks and long short-term memory leveraging the iOS applications. What does iOS 12 bring new to Siri? With iOS 12 Siri will automatically identify all the common tasks, location and will identify when we are running late for an appointment. It will show a notification in the notification screen about the coffee or tea based on your preferences and will send a text to the organizing committee of your meeting that you may come late. In iOS 12 this is one of the biggest change that we can customize our shortcuts and allow us to use our own phrases for any task to execute through Siri. Siri will keep a private note in all your private websites that you visit and it allows you to fetch the information from your favorite website autonomously. The introduction of iOS 12 in Siri gave Siri many new features which include food, famous people, photos and motorsports. Through Siri now you can manage to enable/disable your flashlight. 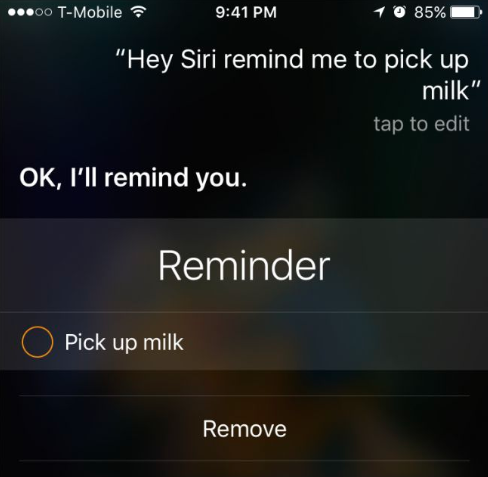 Siri can now work in low power mode. Added the accents of different language like Irish, South African and many more. Siri can now open the photos app and search for the requesting memories with the specific people. Found Siri awesome? Now let’s start developing with it! Keynotes prior to starting iOS development! Keep it simple: Help Siri to know about user-provided data, including the ability to ask the user for classification, clarification or any confirmations! Final confirmation: Last chance to re-check all the Intent parameters as they should be and that our app can handle the user’s request. Manage fitness routines and workouts. For payment between the client and the user. Initiating the calls and searching the call history. Searching and displaying the photos. Managing the car’s door and interior commands. Interacting with the car music play and other systems. Create and search for nearby available hotels and restaurants through maps. 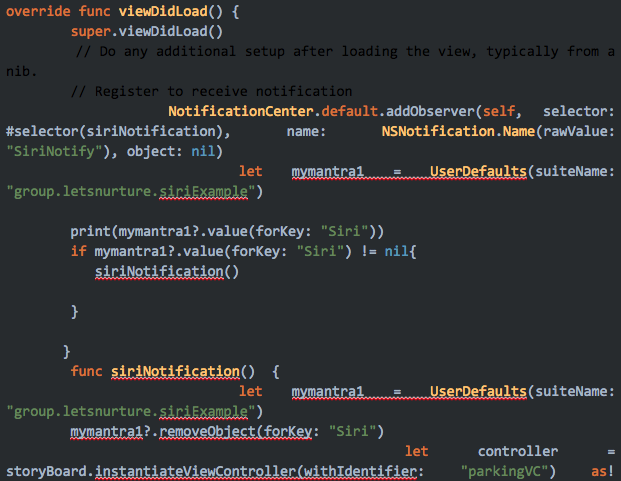 We have uploaded a sample code of our Ride_Share app for your better understanding in Github. 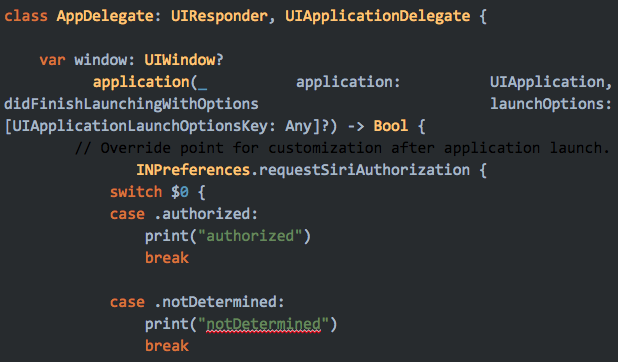 You can clone or download the “Rideshare” project and kick-start your Siri Development. If you need some more help in building projects based on Siri or Artificial Intelligence, please drop an inquiry to us.